Pictured missing New Rochelle woman, Valerie Reyes identified as body found inside suitcase. Missing New Rochelle woman, Valerie Reyes identified as body found inside suitcase along Greenwich’s Grenville district as murder investigation is launched. A woman whose body was found stuffed in a suitcase along the side of the road in Greenwich, Connecticut earlier this week has been identified as missing 24-year-old from Westchester, NY. 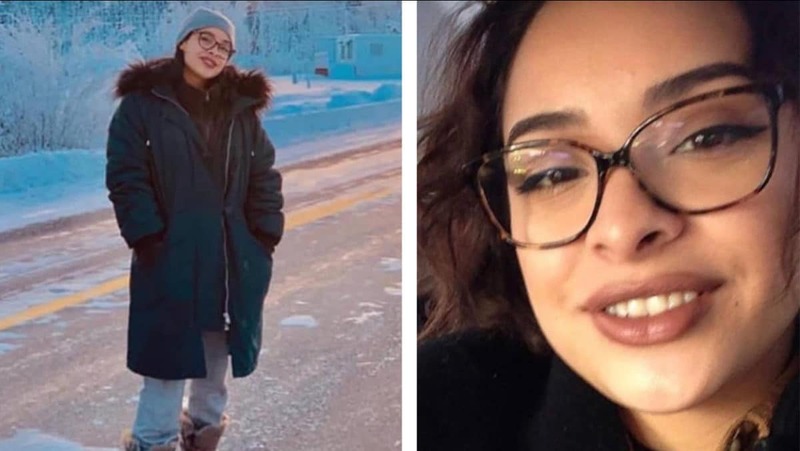 Valerie Reyes was last seen on Jan. 29 and was reported missing the next day when she didn’t show up to work, according to the Hartford Courant. The family of the New Rochelle woman was notified of her death on Wednesday and a murder investigation was underway. On Tuesday, Reyes’ clothed body was discovered by highway workers inside a large suitcase that was tossed on Glenville Road in the well to do town. Police said her hands and feet were bound. An autopsy was conducted Wednesday, though details on how she died have not yet been released. ‘They are obviously devastated by the loss of Valerie and our heartfelt condolences go out to them,’ Greenwich police said in a statement. Reyes took her iPhone, iPad, clothes and bedsheets before vanishing, LoHud.com reported. Not immediately clear is whether Reyes was killed by someone she knew – and if so, why- or whether she was a random target. Officers continued interviewing local residents and have since asked for video footage from nearby security systems that may have captured relevant information. Police are unsure of where Reyes was killed but said they had reason to believe she was murdered elsewhere and dumped at the site, which is about four miles from I-95. How her body came to be dumped in the ritzy town of Glenville was unsure – with suggestions her murderer may live locally. Police said they have received a large number of tips and are still urging the public to come forward with any information that may be relevant to the case. Glenville has a population of just over 2,200 people with an average household income of around $172,400, according to the US Census Bureau. The median property value in the area is $760,300.